Bioremediation is nature’s way of cleaning up. Technically, it is the accelerated breakdown of organic compounds through the use of enzymes, bacteria, or micro-organisms. It’s a safe, environmentally-friendly way to handle many kinds of hazardous waste. In fact the clever science of bioremediation was used in two of the world`s worst oil spills that have occurred in the past 30 years– the Exxon Valdez tanker spill in Prince William Sound, Alaska 1989 and the BP Deepwater Horizon rig spill in the Gulf of Mexico in 2010. 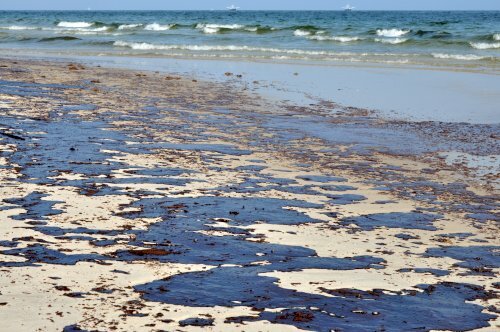 In both disasters “oil eating” microbes were used to aid the “clean-up” process. ARE MICROBES SAFE TO USE? While the thought of a product being based on live microbes might seem a little strange, it is actually an environmentally sound concept. Microbes are a common occurrence in nature. Microbes of all types are constantly around us; they are on your body right now, even though they cannot be seen with the naked eye. While some microbes are “bad” for human survival, most microbes have either no impact on humans or affect us in positive ways. The microbes used in the Smartwasher are completely safe to humans and the environment. The microbes used in the Smartwasher® are all classified as risk category 2. Organisms in this classification have no recognized hazard potential under ordinary conditions of handling. They are subject to unrestricted distribution by the U.S. Department of Health, Public Health Service and the Toxic Substances Control Act (TOSCA). Organisms receive this classification only after extensive study and review. Microbes have been successfully used in petrochemical plants, chemical plants,refineries, food processing plants, marine barges, machine shop parts washers, truck washes, wood treating plants and ground water remediation applications. Our microbes, in particular, remediate:- Oils, greases, crude oil, solvents, fats and amines. 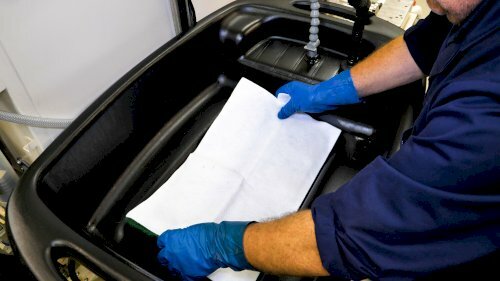 The microbes in the Smartwasher have been proven effective in waste waters containing BOD or COD in excess of 50,000 mg/l. HOW DOES BIOREMEDIATION WORK IN THE SMARTWASHER? The Smartwasher uses a special Ozzy Filter to introduce microbes (including Ozzy, our microbe mascot!) into the cleaning process. Under a proprietary procedure, these microbes have been combined to form a colony that thrives and multiplies once activated in the Smartwasher. The colony of microbes remains dormant until the Ozzy Filter is placed in the washer and the Ozzy Juice, our non-hazardous parts cleaning solution, is added — then Ozzy goes immediately to work. As the solution begins circulating Ozzy moves through the machine, attacking and eating oil and grease particles. Whilst Ozzy aggressively attacks oil and grime, that’s all he will attack. He does not work on foreign substances, such as industrial grade metal and natural rubber, and is non-pathogenic and completely safe for you to use. Unlike mineral spirits, OzzyJuice is non-flammable, non-toxic and can be used with regular nitrile, latex or vinyl gloves – there is no requirement for heavy duty gauntlet protection.